This is just a prototype, a sandbox to experiment with data and structures! Properties, relations and even URIs will most likely change in the future. There is absolutely no guarantee that any information will remain stable in future versions. To access the triplestore, you can either click on the red button on our homepage or on the DATA tab of our website menu. This red button on our website’s homepage leads you to the LiLa triplestore. 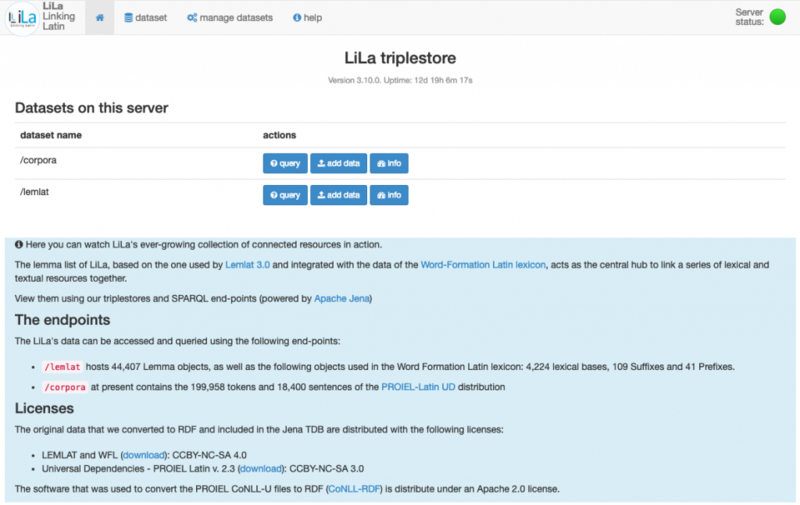 The DATA tab of our website menu takes you to the LiLa triplestore. Landing page of the LiLa triplestore. /corpora: stores corpora converted to RDF, with links to the lemmas in /lemma. Query page of the /CORPORA dataset. Once you’ve selected a query, click on the black/white arrow button to the right of the screen. 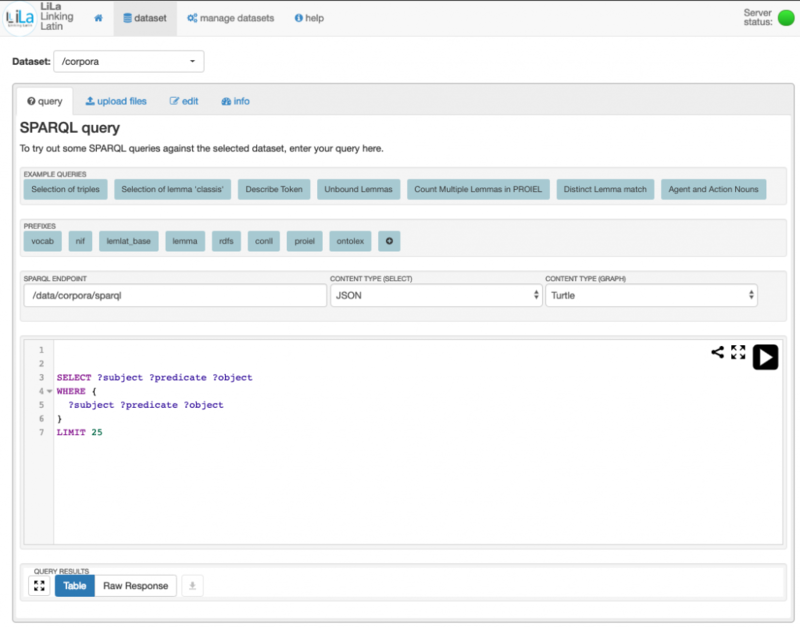 If you know SPARQL, you can also type your own SPARQL queries in the box provided. The results of the query will be displayed below the query box. We will be regularly adding new resources and datasets –as well as improving our documentation– so be sure to subscribe to our RSS feed for updates! For questions and/or clarifications regarding the triplestore, you can write to us at info[AT]lila-erc[DOT]eu.